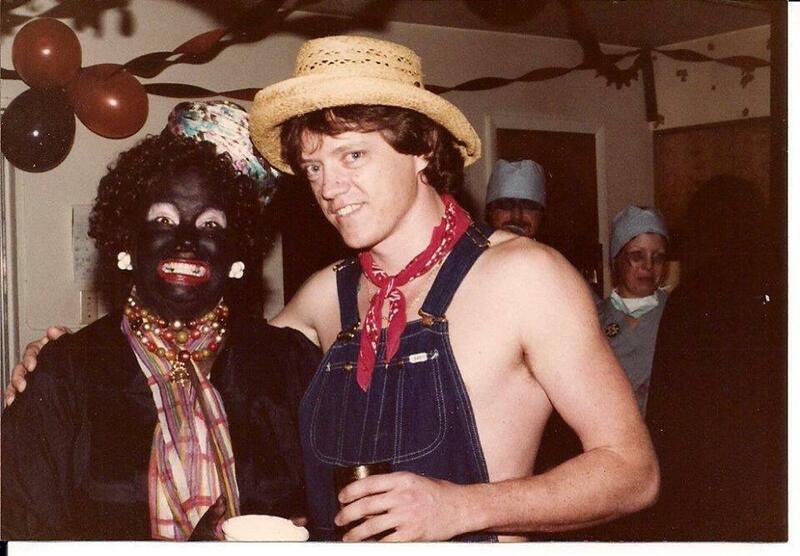 The confessions of politicians who once dressed in blackface have been littering the headlines recently, which has led to a heap of phony claims on social media that Hillary Clinton was once pictured in blackface. Snopes first debunked that claim when the picture of two people, apparently at a costume party, began circulating widely online in early 2016. At that point, Snopes found the earliest use of the photo came from a Twitter account that posted it in 2015, suggesting that it showed the Clintons without explicitly saying so. We couldn’t find any earlier uses online, but we did talk to Brian Tourville, who runs the Twitter account that posted it in 2015. “I didn’t believe it was them,” Tourville said. “I never proffered that it was.” He said that he found the photo online and downloaded it a couple of years before he posted it thinking that it was “collectable.” Tourville dislikes the Clintons and supported Bernie Sanders when he ran against Hillary Clinton in the 2016 Democratic primary. 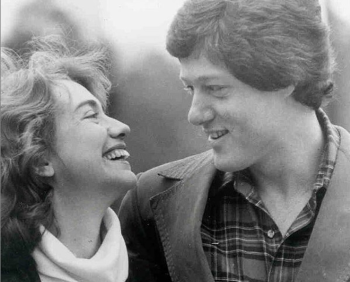 Although Tourville didn’t believe that the photo showed the Clintons, he thought it looked similar enough to them that it might stir up some reaction. “It was close enough that it would be a pebble in still water — it would put out ripples,” Tourville said. He was right. The photo has been shared thousands of times, once prompting an apology from a surrogate for Donald Trump who retweeted it during the campaign. “I just put it out there to stir interest, really,” Tourville said of deciding to post the photo even though he had no evidence that it showed the Clintons and didn’t believe that it showed the Clintons. Also, Angel Urena, spokesman for former President Bill Clinton, confirmed to FactCheck.org that the photo doesn’t show Bill and Hillary Clinton. Merica, Dan and Nobles, Ryan. “Northam denies being in racist photo but recalls darkening his skin in Michael Jackson dance contest in 1984.” CNN. 2 Feb 2019. Schneider, Gregory and Vozzella, Laura. “Virginia’s three leaders engulfed in turmoil, with Herring disclosure from college days.” The Washington Post. 6 Feb 2019. Lemongello, Steven. “State Rep. Anthony Sabatini dismisses Florida Democratic chair’s call for his resignation over high school ‘blackface’ photo.” Orlando Sentinel. 5 Feb 2019. Evon, Dan. 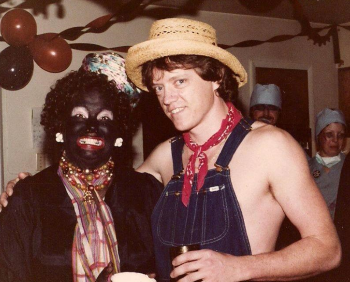 “Did Hillary Clinton Wear Blackface at a Costume Party?” Snopes.com. 15 Jan 2016. Tourville, Brian (@Brian_Tourville). “@HuffingtonPost I raise you One.” Twitter. 5 Nov 2015. Gass, Nick. “Trump surrogate apologizes for Clinton blackface tweet.” Politico. 30 Aug 2016. Tourville, Brian. Interview with FactCheck.org. 4 Feb 2019. Urena, Angel. Spokesman, President Bill Clinton. E-mail sent to FactCheck.org 5 Feb 2019. A viral image shows a person in blackface with the claim that it is Hillary Clinton.